For much of the past year, the Twitter ecosystem has been in a state of flux. Ever since Twitter bought Tweetie and turned it into their own native iPhone app, third-party developers have been wondering where this would leave them. Further moves by Twitter into Android, iPad, Mac, Windows Phone, BlackBerry, and other spaces have only compounded some of this fear. So Twitter has taken some time today in their developer forum to talk a bit about the state of the ecosystem and give some guidance. It’s blunt, but necessarily so. Specifically, Platform lead Ryan Sarver has a fairly lengthy outline of Twitter’s line of thinking with regard to third-party clients and services. And while there’s a little bit of dancing around the topic at first, it quickly gets very clear: third-parties shouldn’t be creating straight-up Twitter clients any further. Sarver notes that Twitter views a “consistent user experience” as very important to them. And it’s something they’re going to hold third-party developers to a very high standard to maintain. But they don’t want them to mimic Twitter’s own experience with their native apps in order to do this. They’ve updated the API Terms of Service to reflect all of this. Sarver notes that according to Twitter’s own data, some 90 percent of active Twitter users now use official Twitter apps on a monthly basis to access the service. “We need to move to a less fragmented world, where every user can experience Twitter in a consistent way. 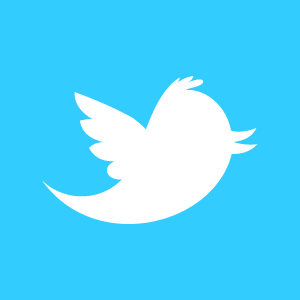 This is already happening organically – the number and market share of consumer client apps that are not owned or operated by Twitter has been shrinking,” he writes. The biggest third-party client in the space is TweetDeck, which was in the process of being acquired by UberMedia when Twitter suspended their apps a few weeks ago for TOS violations. I’ve reached out to Twitter to see where TweetDeck and UberMedia stand now with the new rules but my hunch is that TweetDeck is it’s currently constituted will be okay — it has too many users to be taken away. But if I were a third-party developer, I probably wouldn’t invest time in creating a new TweetDeck-like app. Publisher tools. Companies such as SocialFlow help publishers optimize how they use Twitter, leading to increased user engagement and the production of the right tweet at the right time. Curation. Mass Relevance and Sulia provide services for large media brands to select, display, and stream the most interesting and relevant tweets for a breaking news story, topic or event. Realtime data signals. Hundreds of companies use real-time Twitter data as an input into ranking, ad targeting, or other aspects of enhancing their own core products. Klout is an example of a company which has taken this to the next level by using Twitter data to generate reputation scores for individuals. Similarly, Gnip syndicates Twitter data for licensing by third parties who want to use our real-time corpus for numerous applications (everything from hedge funds to ranking scores). Social CRM, entreprise clients, and brand insights. Companies such as HootSuite, CoTweet, Radian6, Seesmic, and Crimson Hexagon help brands, enterprises, and media companies tap into the zeitgeist about their brands on Twitter, and manage relationships with their consumers using Twitter as a medium for interaction. Value-added content and vertical experiences. Emerging services like Formspring, Foursquare, Instagram, and Quora have built into Twitter by allowing users to share unique and valuable content to their followers, while, in exchange, the services get broader reach, user acquisition, and traffic. Sarver highlights Twitter’s “diverse ecosystem” of more than 750,000 registered apps. But that ecosystem definitely just got altered quite a bit today. Remember, this is business, not personal.